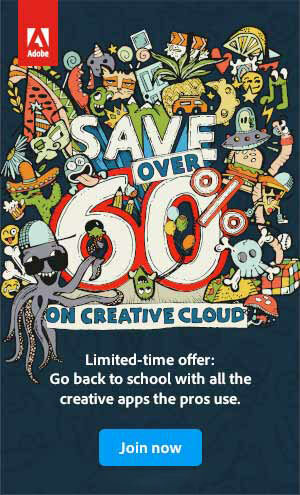 This promotion is limited to one (1) purchase of one (1) Creative Cloud annual membership per customer, and is open to eligible teachers and students 13 years of age and older. No previous software ownership or upgrade is necessary. 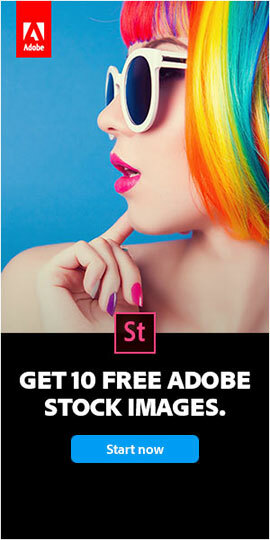 This pricing is only available for first-time memberships purchased directly from the Adobe Store. See the complete terms & conditions here. 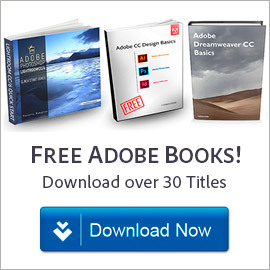 To get started using the software right away – or to try before you buy – you can easily download the CC 2019 free trials, and install & run them on your computer instantly. 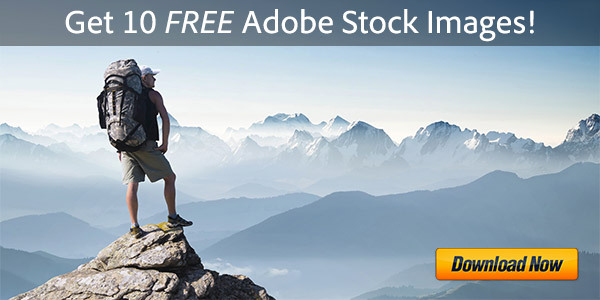 To learn how to best use the new products, there are plenty of free Adobe books and free online video training you can check out. 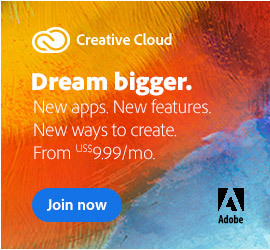 What’s more, Adobe recently launched a new CC Tutorial Hub for Students to help get you sailing with Creative Cloud in no time. 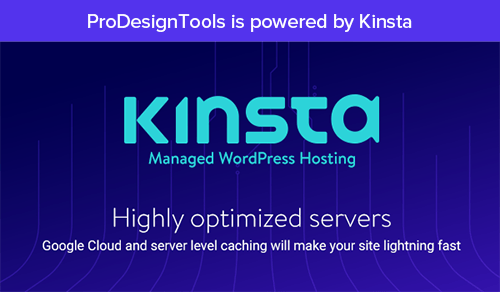 Generally speaking, you can install and activate your purchased software on up to two computers of any kind, including both a Mac and a Windows PC… And whenever needed, you can also easily transfer or move your tools between two different systems at any time. Find out more about the Adobe Student & Teacher Editions, including (importantly) the notable differences between these and the regular versions.